Five Shadows » Blog Archive » Tis That Time of Year! Tis That Time of Year! Earlier this year I started to collect Christmas fabric for a tree skirt. In my mind, I was going to do my Christmas sewing in July of this year. Kind of like my own personal Christmas in July. That didn’t happen. This week I pulled out the tree skirt fabric and got busy making a skirt to gift to my daughter Thanksgiving day. and Quilters Dream Orient batting. I’ve not used this bamboo silk blend batting, so I’m curious how it will quilt and wash up. 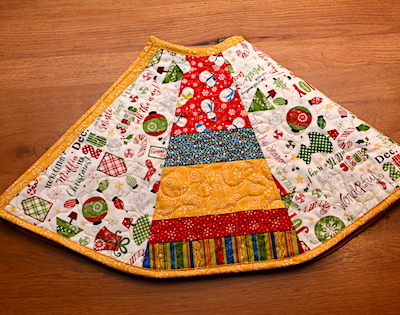 It was not large enough to use in the tree skirt – that would have been just too convenient! Are you doing any last minute/holiday sewing projects? Quilting Chic Country ✔️ I’m working on the negative space petals. Embroidery pumpkin ✔️ I’m slow and have a long way to go. Enjoy Thanksgiving with my family. Keep trucking along on Chic Country quilt. 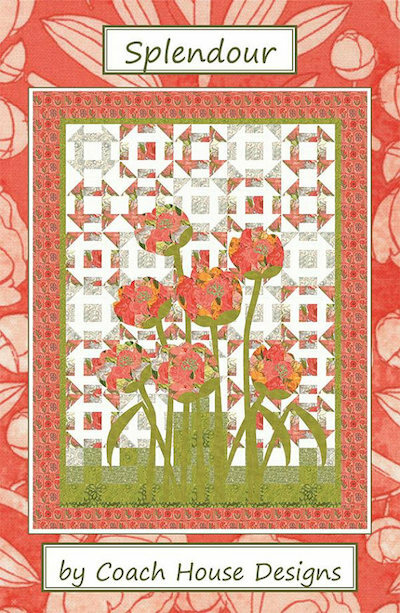 This entry was posted on Tuesday, November 20th, 2018 at 18:31	and is filed under Quilting. You can follow any responses to this entry through the RSS 2.0 feed. You can skip to the end and leave a response. Pinging is currently not allowed. Lovely wins, the pattern is lovely, and although I have used bamboo batting, so soft and gentle, am not familiar with the other one you now have. The tree skirt is so pretty! And congrats on winning! 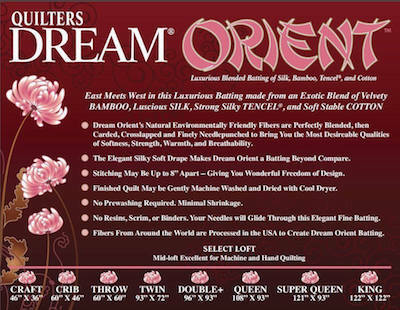 Dream Orient is my favorite batting! It just glides through the machine! It feels so soft and drapey. It’s amazing!